Across the Ocean Shipping: Value Added Delivery Services – Above and Beyond Expectations. Another successful project movement by Across the Ocean Shipping. 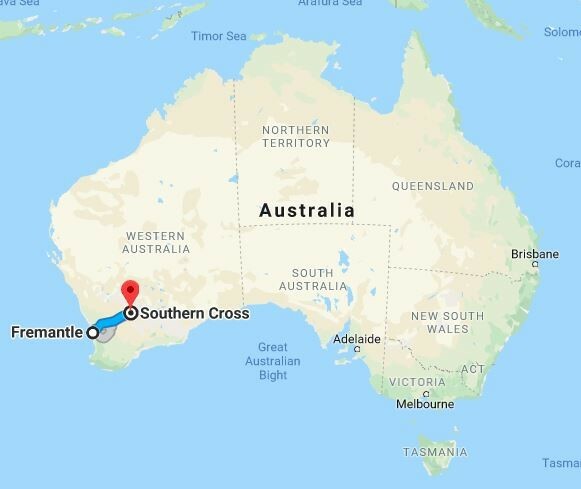 After arriving from South Africa and unloading at Fremantle, they were able to provide “Real Time” tracking to their customer of their important cargo to its destination outside the remote Western Australia town of Southern Cross. Utilising their many resources and local partners, they successfully provided an even greater level of customer service to one of their clients. 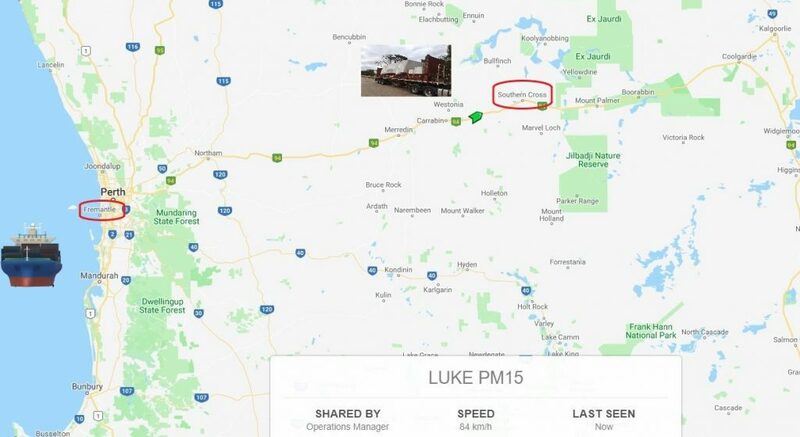 Being able to follow the movements of this 11 tonne crucial piece of mining equipment not only meant that Across the Ocean Shipping could monitor the transport, but that the client could co-ordinate equipment and manpower for the timely unloading and up to the minute planning of installation. World leading technology and service at the forefront equals one very happy and impressed client! Would you like to see what our members are currently up to? The AiO concept is all about leveraging strengths as a group. Every logistics company in the world has its own strong points which depend upon the professional capabilities of their people, the needs of their customers and the aims and goals of the company. That has meant that some companies might handle only one type of cargo whereas other companies are experienced in more than one type of cargo. Until now this has meant that most independent freight forwarders need to join a few networks to cover each of their areas of expertise. We have changed all that. When your company joins AiO you have the opportunity to enroll in various specialties including commercial cargo, project cargo, international removals, perishables and exhibition freight. From these specialties we form smaller groups specifically concentrated around that exact expertise. As such you will find that you have qualified companies for all your cargo all over the world, in one network. And they are all covered under the same financial protection. When you meet these companies at our annual general meeting you will only meet companies who are working in the type cargo that is of interest to your company so you can focus like a laser beam on the markets that will make your company grow and become more profitable. It is plain to see that AiO’s revolutionary approach creates efficiencies for independent international logistics companies that did not exist before. We mean to open an entire world of freight and logistics opportunities to your company in a way that will make your customers happy, in a way that will feed your bottom line and in a way that will keep sales growing in your pipeline. Look Who’s Coming to AiO AGM 2019! Please note that all our offices will be closed due to Thai New Year holiday in Thailand from 12th April to 17th April. Do you want to advertise in the AiO newsletter? Please be aware that all our offices will be closed due to the Bank Holiday on Monday 8th April. Check out who’s attending the AiO Annual General Meeting 2019! (as of 25 March). The AiO Logistics Network is unique in the world of logistics networking. We give you depth and breadth in logistics around the world. And we give you the reason to stop looking for that one group that takes care of all your many clients’ logistics needs.